Tourism Minister Mr Gautam Deb for West Bengal and Mr Debjit Dutta (centre) who is the Chairman at the Indian Association of Tour Operators. It was undoubtedly a great honour and privilege to meet with them and understand more about the region and its massive growth as a tourist destination. 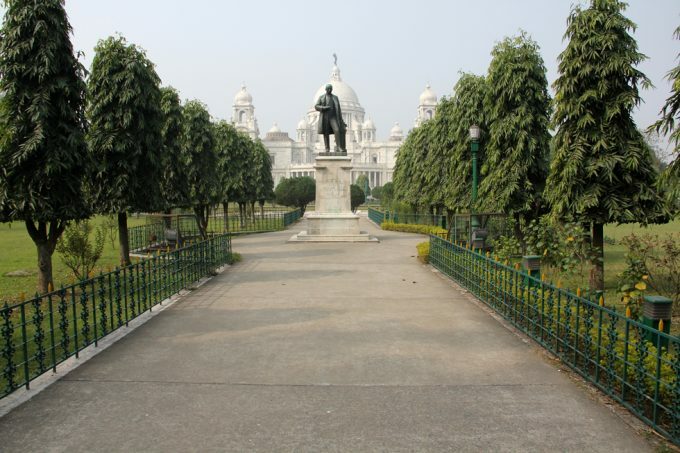 During the British Raj, until 1911 Calcutta was the capital of India. By the latter half of the 19th century, Shimla had become the summer capital and King George V proclaimed the transfer of the capital from Kolkata to Delhi at the climax of the 1911 Imperial Durbar on December 12, 1911. The buildings housing the Viceroy, government and parliament were inaugurated in early 1931. 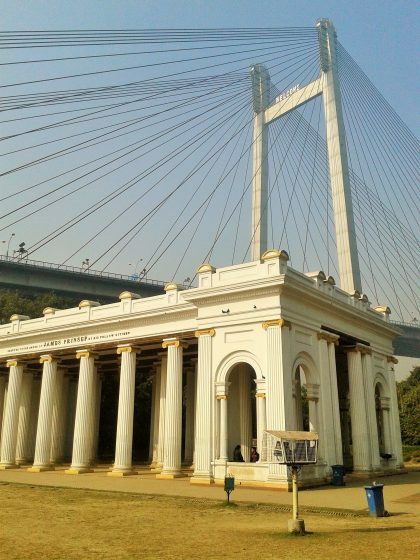 Vidyasagar Setu, also known as the Second Hooghly Bridge is a toll bridge over the Hooghly River in West Bengal, India linking the cities of Kolkata and Howrah. With a total length of 823 metres, Vidyasagar Setu is the longest cable–stayed bridge in India. In May 1972 Prime Minister Indira Gandhi laid the foundation stone of the Vidyasagar Setu, so named after the 19th-Century Bengali intellectual and reformer Pandit Ishwar Chandra Vidyasagar. 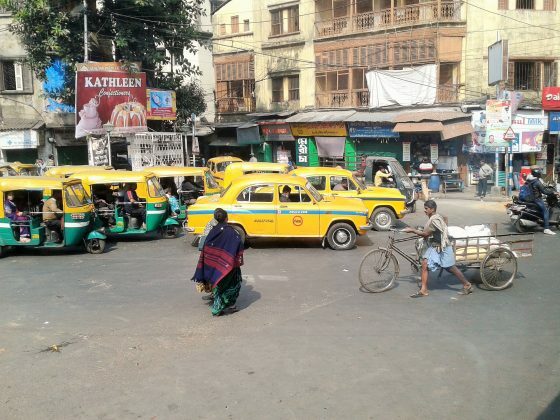 Normal hussle and bussle of city life, but Kolkata has a somewhat different energy. Not much opens early in the morning and a delayed awakening occurs for the not so early risers. Suits me. Restaurants won’t really trade until noon and the street life comes alive with the smell of spices, marsala and burning coals readying for the day’s onslaught for all meat eaters to enjoy. Vegetarian dishes are easily found and a tiffin plate served thali style has been one my favourite for many years. There’s something a little fishy going on here? In India food cooked at home with care is considered to deliver not only healthy eating, but relatively cheap traditional and very tasty meals. Lunch is usually eaten thali-style, with a tantalising selection of regional delicacies that may include any combination of spicy vegetables, dhal, yoghurt, pickles, bread and pudding served on a large metal plate or a banana leaf. 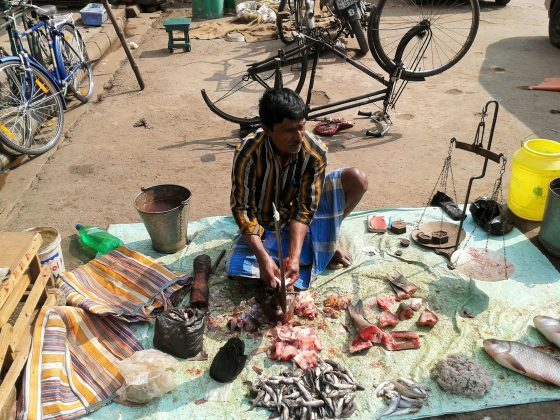 There is one market that’s bustling with street food offerings in the morning and that’s Terreti Bazar, which is most popular with the locals and tourists as well. 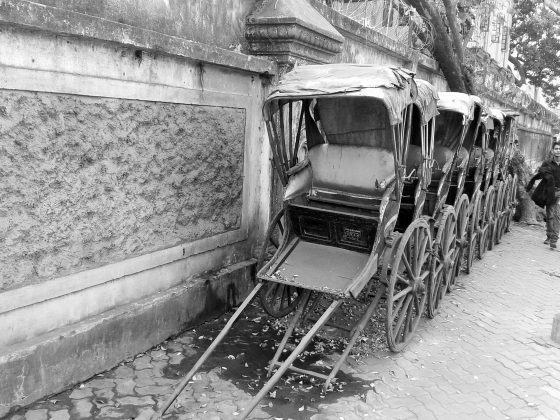 Once, beautifully built rickshaws now serve as a reminder of how times have moved on. Recently, the use of human-powered rickshaws has been discouraged or outlawed in many countries due to concern for the welfare of workers and pulled rickshaws have been replaced mainly by cycle or auto rickshaws. 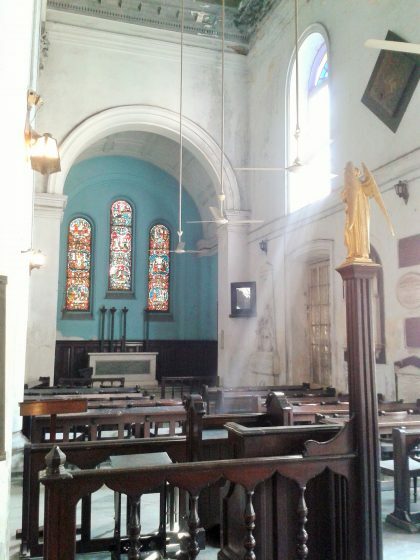 St. John’s Church, originally a cathedral was among the first public buildings erected by the East India Company after Kolkata (Calcutta) became the effective capital of British India. Tall columns frame the church building on all sides and the entrance is through a stately portico. The floor is a rare hue of blue-grey marble, brought from Gaur and large windows allow the sunlight to filter through the coloured glass. 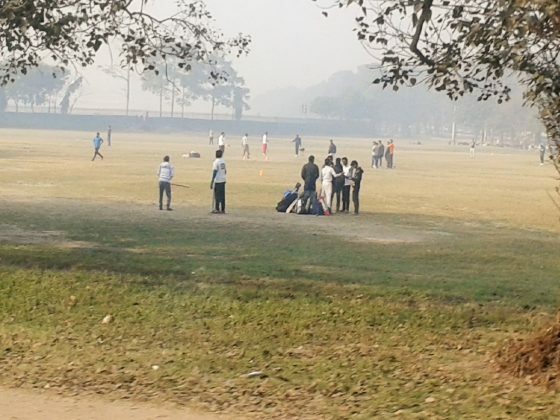 Nearby is the Second Rohilla War Memorial and the Black Hole of Calcutta Monument. 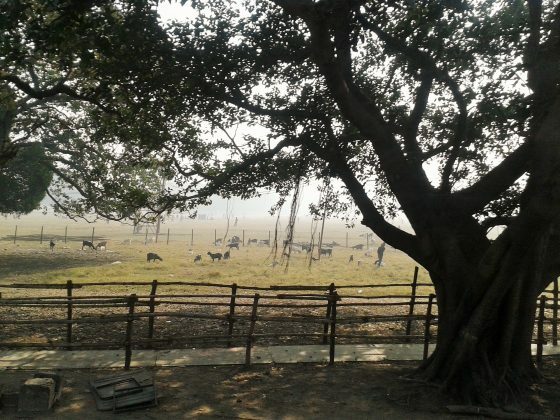 Survivor from this atrocity was John Holwell who later became the Governor of Bengal and went on to build a memorial at the site. Paddocks close to the city are filled with mostly goats and sheep hard at work doing the mowing. How could you not love goats? They’re extremely loyal, funny characters and yes, their milk makes the best cheese and yoghurt. When was the last time you visited a book bazaar like this? 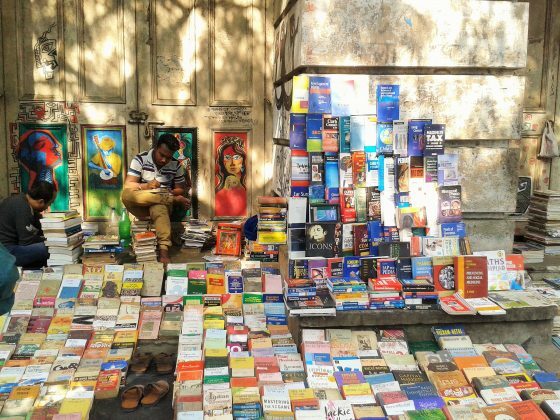 College Street has a unique charm of its own and blanketed with makeshift book stalls constructed of bamboo, canvas and sheets of tin on both sides of the road; it’s a paradise for book lovers. 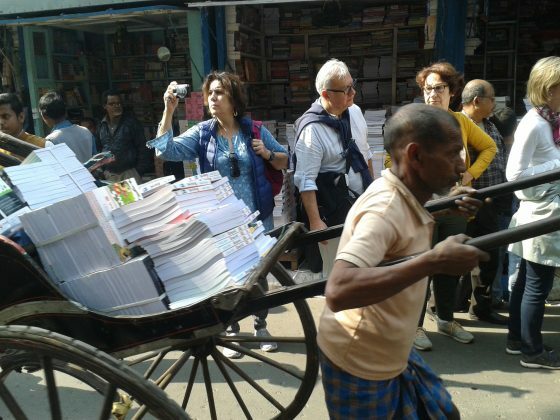 Join in the craze of being in College Street – it’s the epicentre of Kolkata’s literary crowd. A second home to the intellectuals, scholars, academicians, students and book lovers of Kolkata city and international visitors. 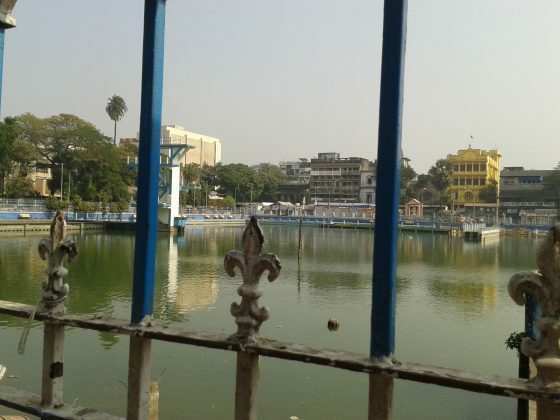 Also colloquially known as ‘Boi Para’ (book-mart), it houses Kolkata’s most prestigious and renowned academic institutions such as the University Of Calcutta, Calcutta Medical College, Sanskrit College, Hare School and Hindu School. Kali is the Hindu goddess (or Devi) of death, time and doomsday and is often associated with sexuality and violence, but is also considered a strong mother-figure and is symbolic of motherly-love. 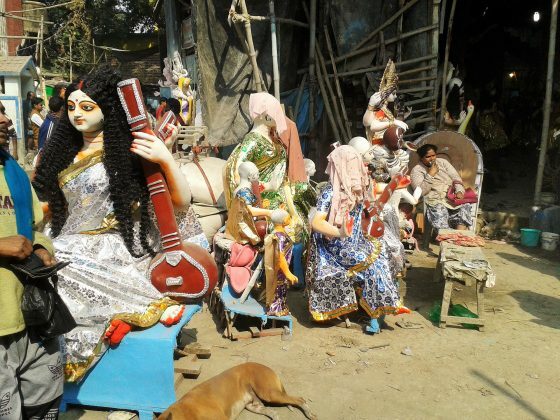 Here she’s being mass produced for upcoming festivities of which there is no shortage in West Bengal. 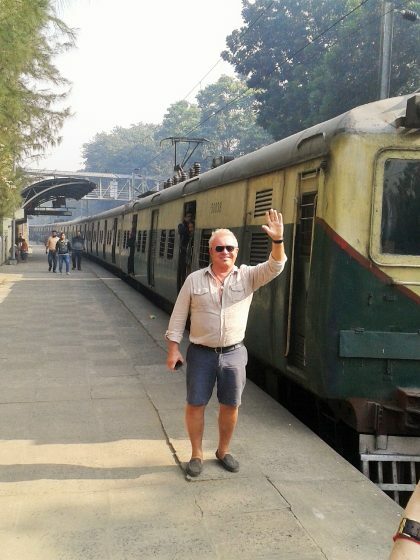 Additionally, there are quite a number of men’s outside toilets installed for them to use in Kolkata – as our mate Kevin was willing to model for me. 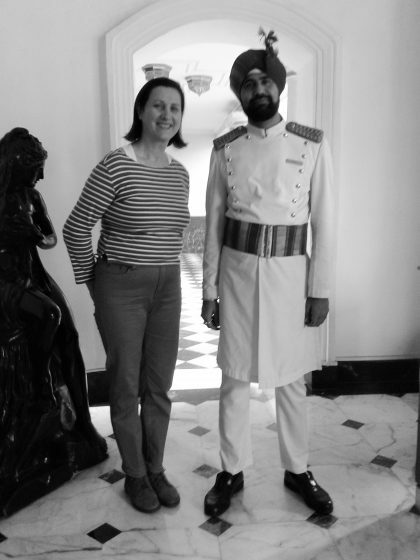 When you have the opportunity to inspect a hotel of distinction, without doubt they include some of the best-dressed personnel of any five-star hotel group. And here, I’d felt like royalty just by having my photo taken with one of the distinguished staff members! And as we all know India and Australia encourage youngsters to be the best they can at cricket. Never know, there could be a rising star anywhere in the making. 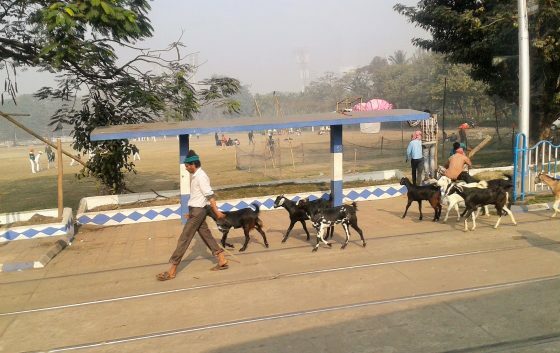 Next stop the new district of Kalimpong and then onto Darjeeling. For Australians wishing to travel to India please check my website for the correct E-visa link. www.travelgracefully.com.au under the Visalink tab for some handy hints.